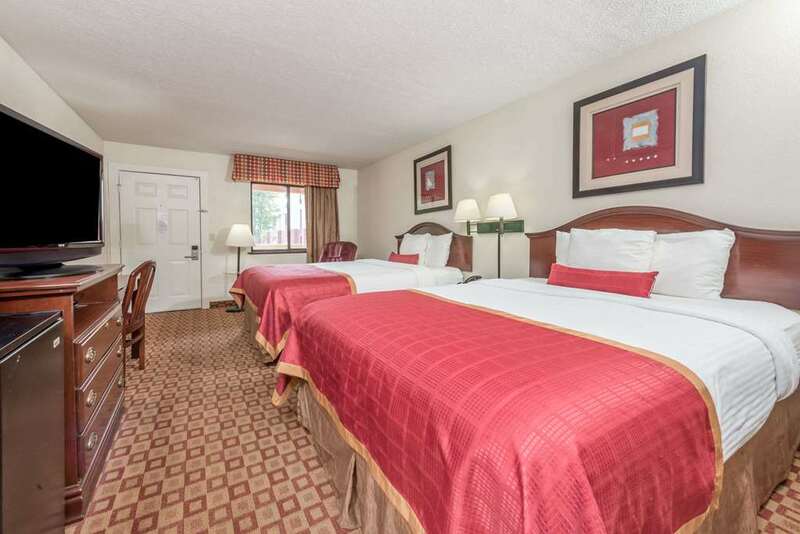 The 2.5 Star Rated Chairmans Award Days Inn Bloomington is located on the 45/46 Bypass, near the Indiana University and all area attractions. There are 50 newly renovated exterior entrance rooms. Included with your room are Free Wireless Internet, Free Daybreak Breakfast, Expanded Satellite with HBO and free local telephone calls. Jacuzzi Suites. The Days Inn Bloomington is located near many area attractions and businesses. Please let us make you stay in Bloomington enjoyable with our 24 hour professional staff to help with all you travel needs. Microwave and Mini Fridge in all rooms. Airport shuttle pickup next door. No pets allowed. For truck parking, please call the property directly to make sure the property can accommodate the truck.